Recorded as Schott, Schotten, Schottner, Schottler, Schotteler, Schotter, and a patronymic in Schottli, this is a surname of pre 7th century Germanic origins. It has several possible meanings and origins. These include an occupational name for a gravel digger, although a more likely explanation is a dairyman or cheese maker who share the same origin in "schott". However the name may also have been locational and in this case both national and ethnic and to have originally described a Scotsman! Locational names were very popular in the early days of the creation of surnames from about the 12th century AD, and identifying a stranger, particularly a foreigner, could not have come much easier than to call such a person by the name of the country from which they came. With the same word spelling being used for a number of different meanings, it is easy to see how in later times confusion arose as to a person's true background and nationality. Possibly the very first known recording of the surname in any spelling in the German registers is that of Johannes Scotus of Dante in Holle, but given as being originally from Ireland. This was in 1232 AD, when many Irish did flee the country after the takeover by the Norman-English in 1170. Another very early recording is that of Heidenrich Schotemann of Kassel in 1340. 1. ~ ~ ~ MATHIAS SCHOTT was born on 11 October 1801 in Mantau 14, Bohemia. He married DOROTHEA SCHIMON (or PRZIMON) on 23 November 1819 in Lischin 15, Bohemia. Dorothea was born on 22 November 1796 in Petersheim, Bohemia and was the daughter of LUKAS SCHIMON (or PRZIMON) and CECILIA PUTCHA. MATTHIAS 2 SCHOTT, born 16 April 1821 in Mantau 14, Bohemia. ANNA 3 SCHOTT, born 1832 in Lischin, Bohemia. SIMON SCHOTT, born 3 December 1833; died as an infant. MARIA SCHOTT, born 27 August 1835 in Lischin, Bohemia. ADALBERT SCHOTT, born 30 November 1837 in Lischin; died as an infant. MARKUS SCHOTT, born 30 November 1837 in Lischin; died as an infant. DOROTHEA 4 SCHOTT, born 4 March 1839 in Lischin, Bohemia. JOHANNES SCHOTT, born 8 January 1843; died as an infant. 2. ~ ~ ~ MATTHIAS SCHOTT (MATHIAS) was born on 16 April 1821 in Celakovy, Zemetice, Bohemia and was the son of MATHIAS SCHOTT and DOROTHEA SCHIMON. Matthias married ANNA ELIZABETH VOGL on 13 January 1845 in Lischin 6, Bohemia. Anna was born on 1 March 1823 in Holysov 5, Vysocina, Bohemia and was the daughter of JOHANN GEORG VOGL and MARIA REIS. Matthias, Anna and four of their children (Anna, Rosalia, Johann and Joseph) arrived in New York, United States of America on 6 July 1868 on the ship Hansa. Maria, the eldest, had immigrated to New Zealand on the ship Liverpool in 1866. Joseph, their youngest son died shortly after arriving in the USA. Matthias and Anna settled in Lewiston, Winona, Minnesota and their youngest child, Catherine, was born there. MARIA THERESA 5 SCHOTT, born 15 February 1848, Lischin 6, Pilsen, Bohemia. ANNA 6 SCHOTT, born 18 September 1852, Lischin 6, Pilsen, Bohemia. ROSALIA 7 SCHOTT, born 18 November 1854, Lischin 6, Pilsen, Bohemia. MARGARETHA SCHOTT, born 26 July 1856; died 4 August 1856. JOHN MATHIAS 8 SCHOTT, born 27 November 1861, Lischin 6, Pilsen, Bohemia. JOSEPH SCHOTT, born about November 1867 and died shortly after arriving in the United States. He had travelled with his family on the ship Hansa from Bremen, Germany arriving in New York on 6 July 1868. CATHERINE TERESA (KATIE) 9 SCHOTT, born on 12 February 1870, Lewiston, Winona, Minnesota, USA. Matthias died on 1 July 1889 of Asthma and was buried at St Rose Catholic Cemetery, Lewiston. Anna died on 24 March 1898 and was also buried at St Rose Catholic Cemetery, Lewiston. 3. ~ ~ ~ ANNA SCHOTT (MATHIAS) was born about 1832 in Lischin 6, Pilsen, Bohemia and was the eldest daughter of MATHIAS SCHOTT and DOROTHEA SCHIMON. Anna married JOHANN WECH on 13 November 1849. Johann was born in 1827. 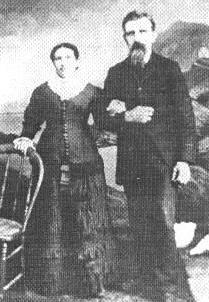 Anna and Johann and their five eldest children arrived in New Zealand on 6 March 1866 on the ship Liverpool and settled in Puhoi, North Auckland. > Refer to the WECH family for more information about the children of Anna and Johann. Anna died on 4 April 1893 in Puhoi, North Auckland, and Johann on the 10 June 1889. They are both buried at Puhoi Public Cemetery (Row 3 Plots 70 and 69). 4. ~ ~ ~ DOROTHEA SCHOTT (MATHIAS) was born on 4 March 1839 in Lischin 6, Pilsen, Bohemia and was the third daughter of MATHIAS SCHOTT and DOROTHEA SCHIMON. Dorothea married JOSEF WECH on 19 November 1861 in Lischin. JOSEF was born on 3 July 1840 in Lischin. Dorothea and Josef and their three eldest children arrived in New Zealand on 6 March 1866 on the ship Liverpool and settled in Puhoi, North Auckland. > Refer to the WECH family for more information about the children of Dorothea and Josef. Dorothea died on 9 July 1900 and was buried at Puhoi Public Cemetery. Josef died on 12 February 1929 and was also buried at Puhoi. 5. ~ ~ ~ MARIA THERESA SCHOTT (MATHIAS > MATTHIAS) was born on 15 February 1848, in Lischin 6, Pilsen, Bohemia and was the second daughter of MATTHIAS SCHOTT and ANNA ELIZABETH VOGL. Maria married GREGORIUS JOHANNES (GREGOR JOHN) WENZLICK on 31 March 1869 in Catholic Church, Thames, New Zealand. Gregor was born on 26 October 1839 in Littitz 71, Bohemia and was son of MIKAL WENZLICK and ANNA SCHUSSER. Maria arrived in New Zealand on 5 March 1866, on the ship Liverpool as a single woman. Her parents and siblings immigrated to the United States of America in 1868 and settled in Minnesota. Gregor arrived in New Zealand on the same ship with his brother Johannes, sister-in-law Anna and their two sons. Gregor and Maria lived at Puhoi and later settled at Kereta on the Thames Coast around 1904. Gregor died on 26 April 1914 in Tapu, Thames. Maria died on 11 December 1934 in Auckland, and was buried with Gregor at Tapu Cemetery, Thames. > Refer to WENZLICK (family of Gregor John) for information about the family of Gregor and children of Maria and Gregor. 6. ~ ~ ~ ANNA SCHOTT (MATHIAS > MATTHIAS) was born was born on 18 September 1852 in Lischin 6, Pilsen, Bohemia and was the fifth daughter of MATTHIAS SCHOTT and ANNA ELIZABETH VOGL. She came to America with her family on the ship Hansa from Bremen, Germany to America aged 13 years, arriving in New York on 6 July 1868. Anna married AUGUST J KESSLER on 28 October 1877 in Lewiston, Winona, Minnesota, USA. August was born about 1842 in Treptow, Germany, the son of CARL KESSLER. o ROSA KAROLINE ELISABETH KESSLER, born 17 September 1872, Lewiston, Winona, Minnesota, USA; died about 1889, Lewiston, Winona. o (BABY) KESSLER, born About March 1874, Lewiston, Winona, Minnesota, USA; died 17 April 1874.
o BERTHA BARBARA KATHARINE KESSLER, born 2 November 1877, Lewiston, Winona, Minnesota, USA; died 30 May 1973 Beaverton, Washington County, Oregon, USA. Bertha married WILLIAM DAILEY on 15 September 1903 and they had six children. William was born 16 February 1874 in Winona, Minnesota and died 13 September 1934 in West Union, Washington Co., USA. o AUGUST JOHANN JACOB KESSLER, born 12 October 1879, Lewiston, Winona, Minnesota, USA; died 11 March 1966, Lewiston, Winona, Minnesota, USA. August was a Stone Mason. He married MARY HECK on 11 February 1902, Lewiston, Winona, Minnesota, USA and they raised a large family of thirteen children. Mary was born 5 October 1875 in Billingheim, Bavaria, Germany and immigrated to the United States in 1882. She died on 28 January 1948 in Lewiston, Winona. o FRIEDREICH WILHELM JOHANNES KESSLER, born 6 February 1881, Lewiston, Winona, Minnesota, USA; died 31 January 1971 Winona, Minnesota. Friedreich married ANNA ERNST on 20 September 1912 in Winona and they had three sons, the first whom died as an infant. Anna was born 18 December 1883 in Cincinnati, Ohio, USA and died on 1972 in Minnetonka, Minnesota. o MINNA EMILIE KAROLINE KESSLER, born 20 November 1883, Lewiston, Winona, Minnesota, USA; died 18 January 1973, Roseburg, Douglas Co., Oregon, USA. Anna died after 1878 in Lewiston, Winona, Minnesota, USA. 7. ~ ~ ~ ROSALIA (ROSA) SCHOTT (MATHIAS > MATTHIAS) was born on 18 November 1854 in Lischin 6, Pilsen, Bohemia and was the sixth daughter of MATTHAUS SCHOTT and ANNA ELIZABETH VOGL. She came to America with her family on the ship Hansa from Bremen, Germany to America aged 10 years, arriving in New York on 6 July 1868. Rosa married HEINRICH WEGMAN on 1 February 1874 in Winona, Minnesota, USA. Heinrich was born around 1850 in Herman, Dodge, Wisconsin, USA and was a Farmer. o GERTRUDE WEGMAN, born March 1875, Olmstead, Minnesota, USA; died 05 August 1875, Minnesota, USA. o MARY WEGMAN, born 1 September 1876, Olmsted, Minnesota, USA; died 08 May 1885, Minnesota, USA. o JACOB WEGMAN, born December 1879, Winona, Minnesota, USA. He was a Saloon Keeper in 1910.
o JOSEPH WEGMAN, born 3 February 1881, Winona, Minnesota, USA. Joseph married DELIA FRENCH on 11 December 1914.
o ROSA WEGMAN, born 1 February 1884, St Charles, Minnesota, USA; died 27 April 1885, St Charles, Minnesota, USA. o JOHN HENRY WEGMAN, born 15 February 1886, Winona or St Charles, Minnesota, USA. John married ESTHER ELVERA NELSON. Esther was born on 19 June 1892 in Windom, Kansas, USA. o KATHERINE MAY WEGMAN, born 29 May 1888, Winona, Minnesota, USA; died 26 September 1966, Minnesota, USA. Katherine married EDWARD KERNAN on 23 November 1909 in Winona, Minnesota, USA. o FRANCIS WEGMAN, born 10 February 1890, Winona, Minnesota, USA; died Abt. 1958, Winona, Minnesota, USA. Francis was an Engineer and he married RUTH MURPHY on 10 December 1925 in Winona and they had four children. o FRANCES WEGMAN, born Abt. 1893, Winona, Minnesota, USA. Frances married HARRY GOLDEN on 17 November 1920 in Winona, Minnesota, USA. o GEORGE WEGMAN, born 28 March 1897, Winona, Minnesota, USA; died June 1971, Alhambra, California, USA. George married ELLA CROSBY on 19 July 1922 and they had four daughters. Ella was born 7 June 1897; died 23 February 1989 in South Pasadena, California, USA. Rosa died in 1915 at St Charles, Minnesota and was buried at Hillside Cemetery. 8. ~ ~ ~ JOHANN (JOHN) MATTHIAS SCHOTT (MATHIAS > MATTHIAS) was born on 27 November 1857 in Lischin 6, Pilsen, Bohemia and was the eldest son of MATTHIAS SCHOTT & ANNA ELIZABETH VOGL. John came to America with his family on the ship Hansa from Bremen, Germany to America aged 7 years, arriving in New York on 6 July 1868. John married MARY ANNA WIEDEMANN on 3 February 1891 in Utica, Minnesota, USA. Mary Anna was born on 9 April 1867 in St Charles, Minnesota, USA. JOHN MATHEW 10 SCHOTT, born 14 February 1892, Utica, Lewiston, Winona, Minnesota, USA. WILLIAM ANTHONY 11 SCHOTT, born 04 January 1896, Utica, Lewiston, Winona, Minnesota, USA. GERTRUDE HELEN 12 SCHOTT, born 02 February 1898, Lewiston, Winona, Minnesota, USA. LEO MARTIN 13 SCHOTT, born 16 January 1900, Utica, Lewiston, Winona, Minnesota, USA. BENJAMIN JOSEPH SCHOTT, born 14 February 1903, Utica, Lewiston, Winona, Minnesota, USA; died 13 January 1976, Lewiston, Winona, Minnesota, USA. Benjamin was buried at St Rose Catholic Cemetery, Lewiston. John died on 8 April 1911 in Lewiston, Winona, Minnesota, USA. Mary Anna died 27 June 1946 in Lewiston, Winona, Minnesota, and was buried at St Rose Catholic Cemetery, Lewiston. 9. ~ ~ ~ CATHERINE TERESA (KATIE) SCHOTT (MATHIAS > MATTHIAS) was born on 12 February 1870 in Lewiston, Winona, Minnesota, USA and was the youngest child of MATTHIAS SCHOTT and ANNA ELIZABETH VOGL. Anna married FREDERICK ROENTZ in 1893 in Winona. Frederick was the son of WILLIAM ROENTZ. o MARY ANNE ROENTZ, born 23 March 1894, St Charles, Winona, Minnesota, USA; died 24 August 1980 Bandon, Oregon, USA. Mary married FREDERICK WILLIAM SAHLMAN in 1915.
o STANLEY MATHEW ROENTZ, born 13 November 1896; died February 1967. Stanley married MILLICENT MAXINE MOREY in 1928.
o GENEVIEVE EMMA ROENTZ, born 10 June 1898, West Superior, Wisconsin, USA; died 25 September 1972 Portland, Multnomah, Oregon, USA. Genevieve married ALFRED GEORGE JIGGAR on 25 November 1920.
o IGNATIUS (NASH) ROENTZ, born 17 August 1900; died September 1963.
o RUDOLPH EBERHARDT (RUDE) ROENTZ, born 17 April 1904 Brainerd, Crow Wing, Minnesota, USA; died 5 January 1986 Portland, Multnomah, Oregon, USA. Rude married ALLIE MAY FREEMAN in May 1945.
o GEORGE PHILIP ROENTZ, born 28 December 1910; died November 1940. George married NANCY ANN CUARITY JANE CHEEK on 17 August 1928. Catherine died in 1942 in Portland, Multnomah, Oregon, USA and Frederick in 1941 also in Portland. 10. ~ ~ ~ JOHN MATHEW SCHOTT (MATHIAS > MATTHIAS > JOHN) was born on 14 February 1892 in Utica, Lewiston, Winona, Minnesota, USA, He was a Farmer and Carpenter after 1911. John married ALMA BURT on 18 November 1911 in Winona, Minnesota, USA. Alma was born on 14 February 1892 in Utica, Winona, Minnesota and was the daughter of ELMER BURT and EUNICE KANEER. Alma died about 1956 in Estoria, Oregon, USA. John married ESTTELLA GRADEL on 11 January 1917 in Winona, Minnesota. Esttella was born Abt 1895. BERNICE ELAINE SCHOTT, born 1918, Utica, Lewiston, Winona, Minnesota, USA; died 1918, Utica, Lewiston, Winona, Minnesota, USA. SYLVIA CECELIA SCHOTT, born 25 November 1919, Utica, Lewiston, Winona, Minnesota, USA; died 1920, Utica, Lewiston, Winona, Minnesota, USA. EVELETH ELIZABETH SCHOTT, born 11 January 1923, Winona, Minnesota, USA; died 20 June 1986, Winona, Minnesota, USA. After Esttella died in 1926 Eveleth was raised by her grandparents. She married EUGENE J ALLAIRE on 17 April 1945 at St Johns Church, Winona. LORAINE VIOLET SCHOTT, born about 1924; died at approx 2 months of age. John married GERTRUDE AGNES STAEHLER about 1929. Gertrude was the daughter of MATTHIAS STAEHLER and CATHERINE MUELLER. RICHARD LAWRENCE SCHOTT, born 11 September 1932 in Milwaukee, Wisconsin, USA; died 1950. WILLIAM JOSEPH SCHOTT, born 4 September 1937, Milwaukee, Wisconsin, USA; died 4 October 1955, Milwaukee, Wisconsin. William was buried at Holy Angels Cemetery, West Bend, Wisconsin. 11. ~ ~ ~ WILLIAM ANTHONY SCHOTT (MATHIAS > MATTHIAS > JOHN) born on 04 January 1896 in Utica, Lewiston, Winona, Minnesota, USA, and William married AMY IZETTA HISLOP on 27 September 1919 in Winona, Minnesota. Amy was born on 16 December 1899 in Pipestone, Minnesota and was the daughter of FRANK La CLYDE HISLOP and WINIFRED MERATTA WHITE. WILLIAM LA CLYDE SCHOTT, born 3 May 1920, Rochester, St Charles, Minnesota, USA; died 28 August 1996, St Charles, Minnesota. William married BEATTA CATHERINE SPELTZ on 28 June 1941 in Rollingstone, Minnesota. LORRAINE MAE SCHOTT, born 21 July 1922, Utica Township, Rochester, St. Charles, Minnesota, USA; died 11 November 2008, Winona, Minnesota. William died in 1959 in Lewiston, Winona, Minnesota, USA. Amy died 27 April 1979 in Lewiston, Winona, Minnesota. William and Amy were both buried at St Rose Catholic Cemetery, Lewiston. 12. ~ ~ ~ GERTRUDE HELEN SCHOTT (MATHIAS > MATTHIAS > JOHN) was born on 2 February 1898 in Lewiston, Winona, Minnesota, USA. Her de facto partner was HERBERT EDWIN FRITZ. He was born on 2 August 1898 in Horicon, Wisconsin, USA and was the son of JOHN FRITZ and PAULINE TRESTER. EVELYN MARIE SCHOTT, born 2 September 1924, Utica, Winona, Minnesota, USA. Evelyn married EDWARD FRANK MILLER on 1 January 1945 in Lewiston, Winona, Minnesota, USA. He was a Farmer and was born 19 March 1910 in Lewiston, Winona Minnesota. Evelyn died on 14 May 1997 in Worthington, Minnesota. Gertrude died on 26 January 1983. Herbert died 31 October 1984 also in Lewiston, Winona, Minnesota, USA. 13. ~ ~ ~ LEO MARTIN SCHOTT (MATHIAS > MATTHIAS > JOHN) was born on 16 January 1900 in Lewiston, Winona, Minnesota, USA. Leo married ELMA THERASA VOSS on 3 September 1935 in Winona, Minnesota. Elma was born on 16 August 1914 in Nodine, Winona and was the daughter of HENRY AUGUST VOSS and LOUISE SCHWARTZ. ISABELLE MARY SCHOTT, born 4 August 1938, Lewiston, Winona, Minnesota, USA; died 1 September 2009. Leo died on 29 March 1965 in Lewiston, Winona and Elma died on 11 April 1986 also in Winona, Minnesota. Please note that in keeping with genealogy protocol I have not included information about later generations which may include living persons. If you have a family connection, please contact me for further information.